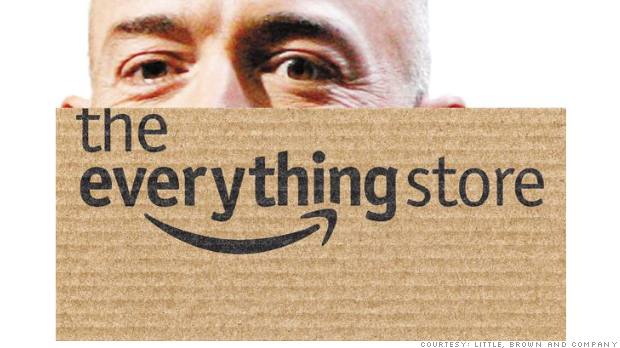 I've just finished reading the last chapter of the book "The Everything Store: Jeff Bezos and the Age of Amazon", by Brad Stone. [I rate it: 3.5/5]. First, Jeff Bezos, Amazon.com﻿'s founder and CEO did not live or grow up with his biological father. His real name is “Jeffery Preston Jorgensen” and “Bezos” is basically his stepfather’s last name. His biological father owns a bike shop and still works there even though his son is a billionaire. This is sth Jeff Bezos shares with Steve Jobs. He loves simplicity and keeping things short. That’s why he called Amazon’s “Personalization” team “P13N”. Since in the word “Personalization” there are 13 letters between “P” and “N”; he chose to call it “P13N”. Same thing happened with the “Algorithms” team; it’s called “A9”. Google these two teams and you’ll find they are still called so to this day. Jeff hates PowerPoint presentations. To this day, if you host a meeting at Amazon you have to prepare a six-page document, more like a press release, and everyone attending the meeting has to read it before actually starting the meeting. Also, Jeff cares about customers very much; to the extent that in every meeting he attends there has to be an empty chair that basically represents “the customer voice”. Speaking about customers, Jeff loves them so very much; all he cares about is being able to provide the LOWEST prices for them no matter what. To that end, he goes by a very strict rule of never spending money on things that don’t matter to the customer. So, at Amazon, even executives fly on economy and never business class. If you want to customize t-shirts for your team you have to do that on your own expense. If you invite your team to a restaurant Amazon will never pay for that either. For 18 years, Jeff insisted on calling it “Amazon.com” not “Amazon”; mainly to force people to remember the URL! It wasn't until 2012 that their logo on the website was changed to simply “Amazon”, something very few people even noticed [I never noticed that :)]. 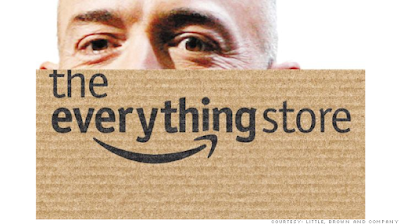 Amazon struggled so much financially and its original business model was never profitable. It took them so many years, more than a decade, to begin to make a tangible profit. Their focus has always been providing the LOWEST prices for their customers even if that meant no profit; they play for the long term.